Our range of stackable grit bins have proven very popular due to their high-quality and affordability. 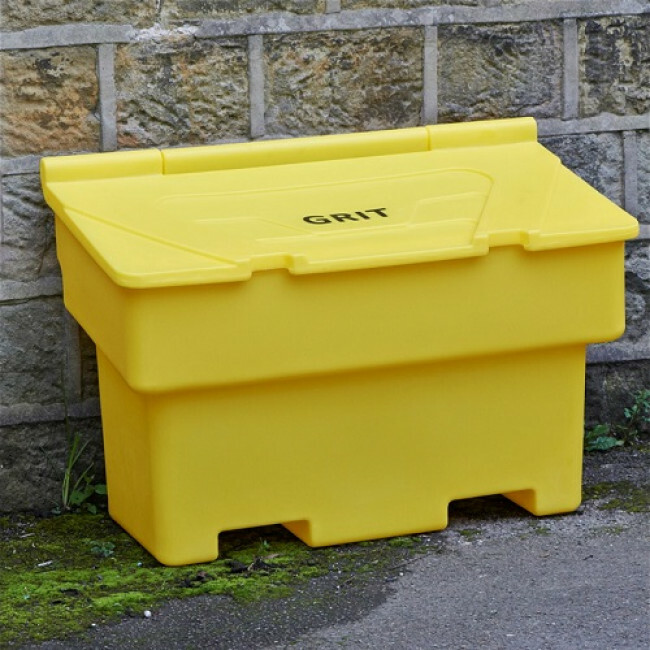 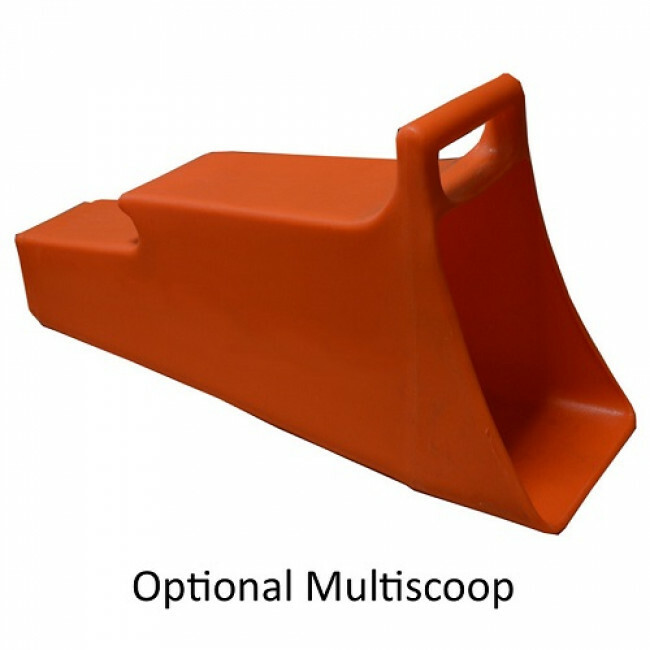 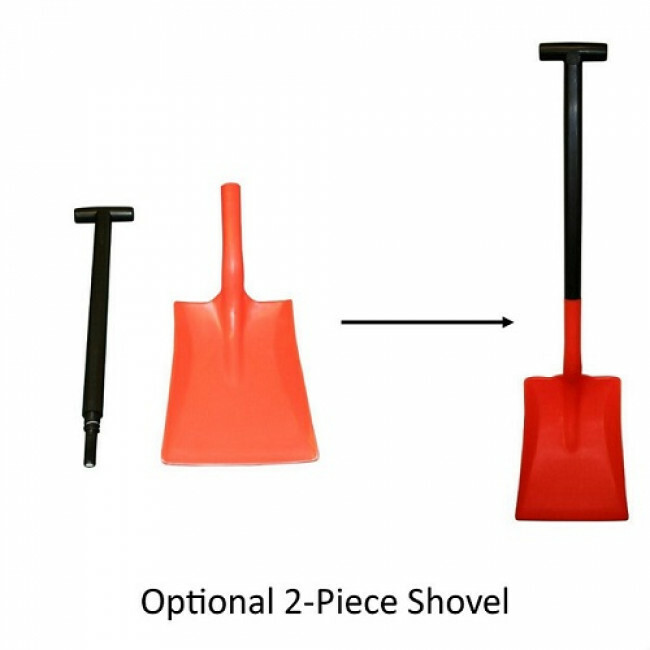 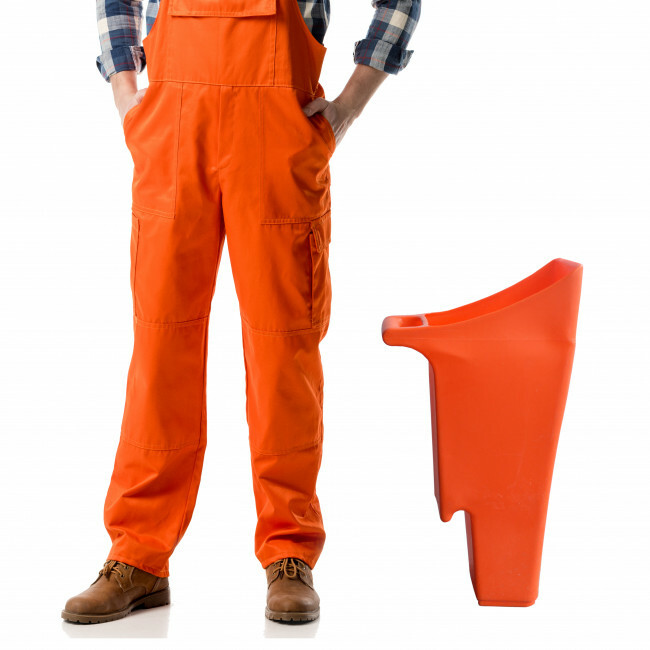 They are ideal for storing grit / salt on residential and commercial premises. 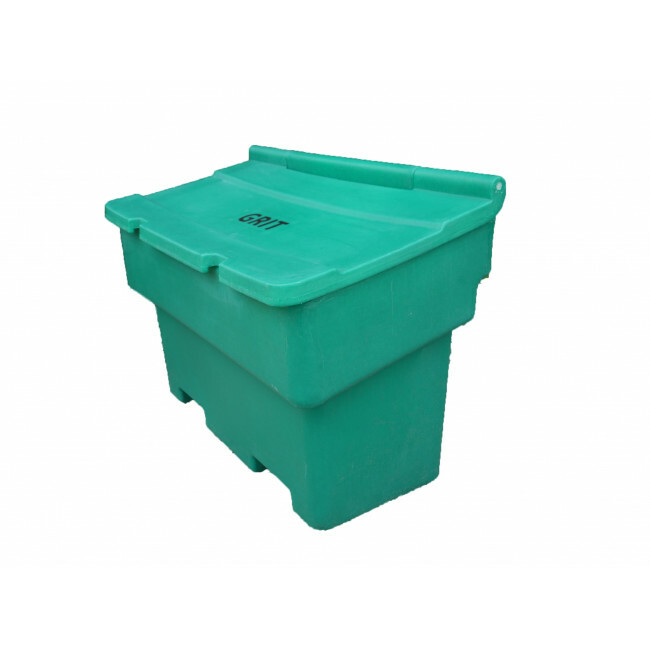 Constructed from durable and UV-resistant polyethylene, this bin will not discolour due to sun exposure and can be kept outdoors year-round. 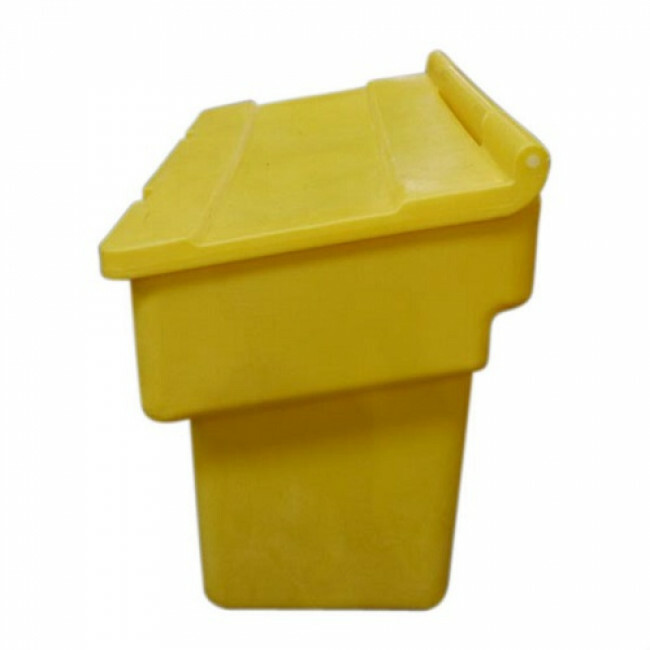 The angled, hinged lid keeps snow and ice from settling on top of the bin, ensuring ease of use in winter weather. 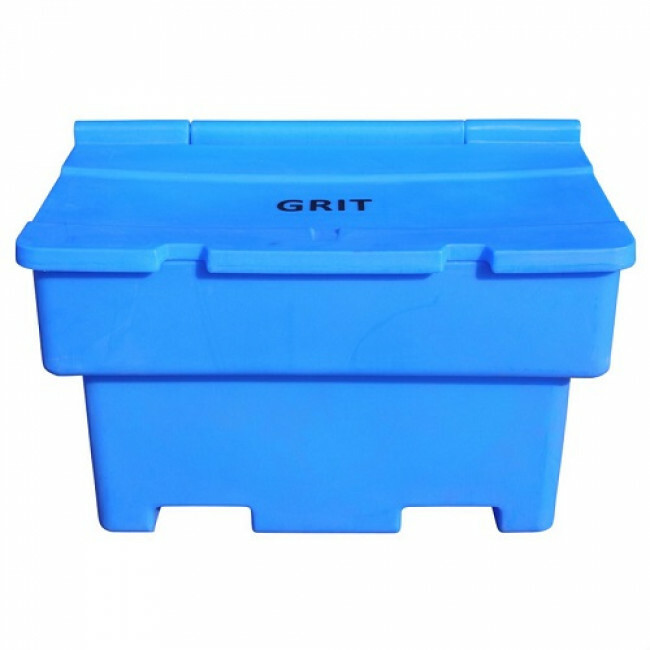 It has a capacity of 200 litres (250kg) and is available in a range of colours. 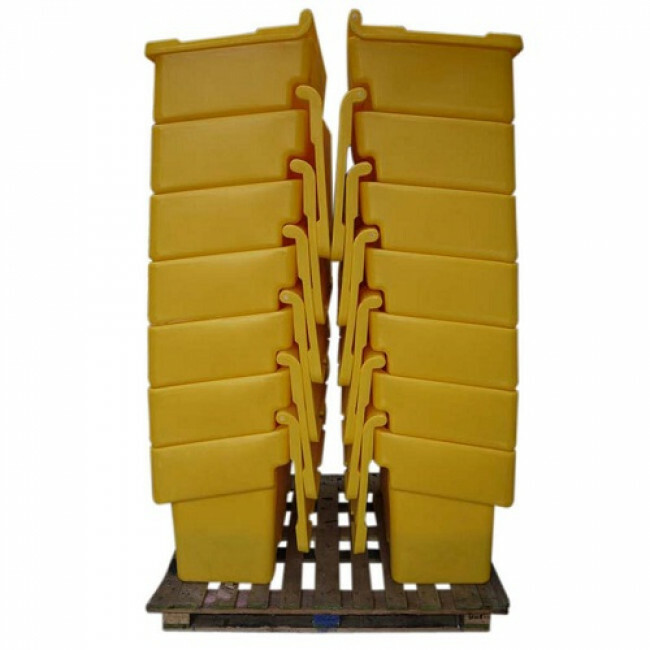 Channels are included in the design to allow it to be easily manoeuvred with a forklift / pallet truck. 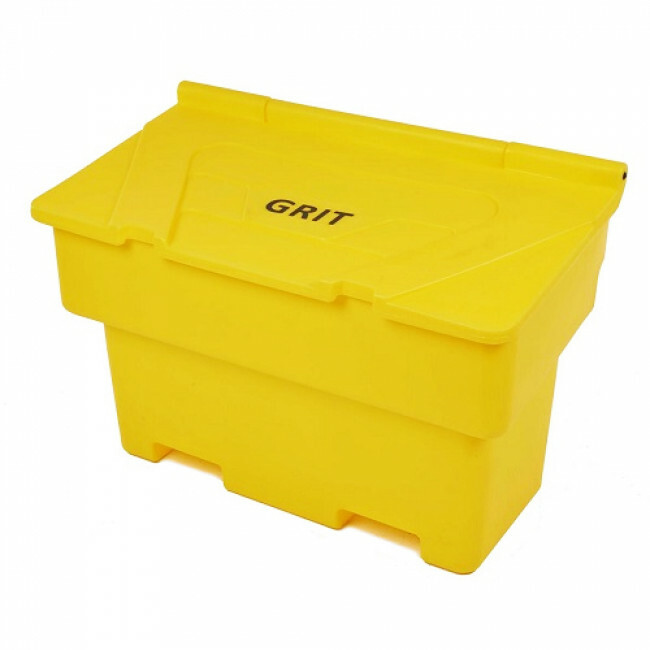 This ensures it can be easily positioned, even when full of rock salt. 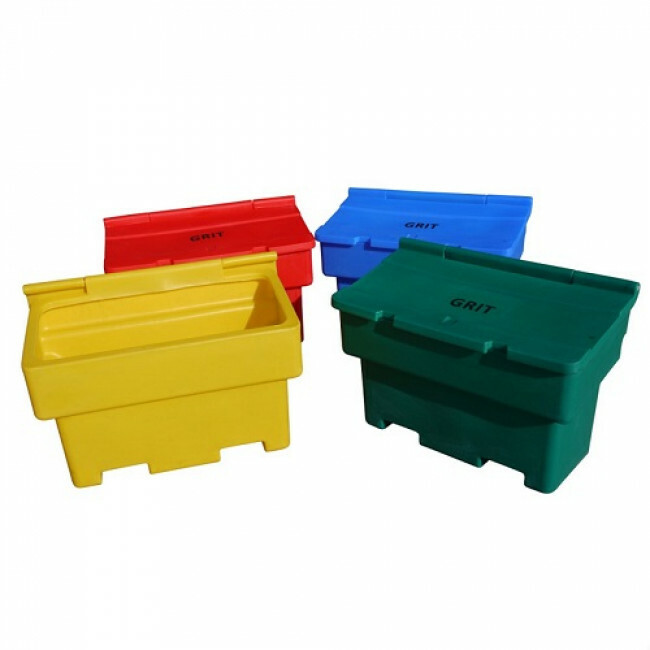 Their stackable feature makes them ideal for storage when not in use. 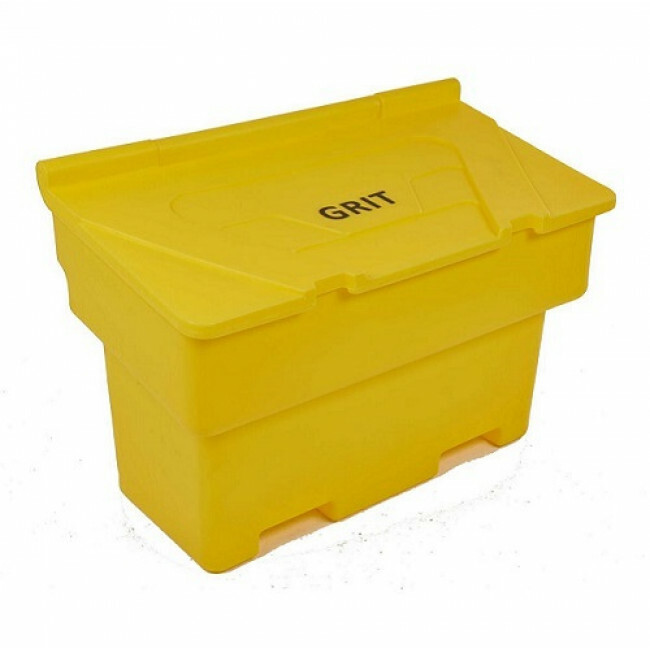 Keep the areas around your home or business ice free this winter by storing your grit / salt in our 7 Cu Ft Stackable Grit Bin.